Higham Hall | And the Winner is…. Higham Musings / And the Winner is…. The lucky winner who won the original picture by Robert Dutton was a lady called Carol. She says she never usually wins anything. Well she has now! The raffle, with Robert’s painting as the sole prize, sold 361 tickets and raised £361. This money will go towards the improvement of the pond area in the grounds to provide a ‘Monet-esque’ Giverny scene that will serve artists as a subject for their artwork. Our thanks go especially to our wonderful Art Tutor Robert Dutton for his generous donation of the framed original picture. 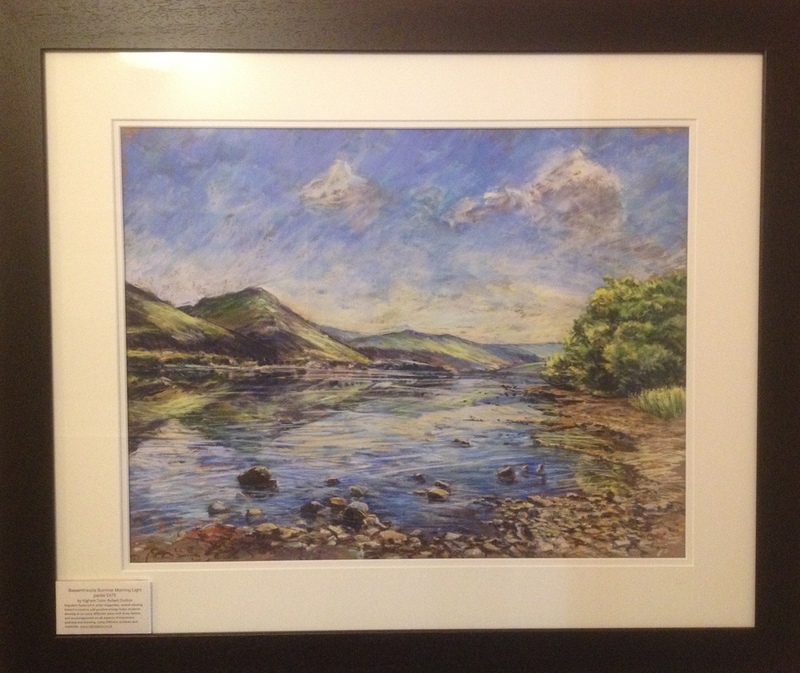 Robert leads courses on EXPRESSIVE ART and the picture that was raffled is a fine example of his style, reflecting the dynamic landscape of nearby Bassenthwaite Lake, a shore location his classes sometimes visit. Thank you, also, to everyone who supported us by buying a Raffle Ticket or two. In terms of supporting Higham, the ability to raise a little money for nice things makes all the difference and enables us to improve resources for everyone to benefit from. We are so fortunate to have like-minded people who recognise that supporting Higham makes a difference. It is worth always remembering that Higham is a Charitable Trust which puts everything back into what it does. Supported solely by those who come, we try to keep prices down whilst at the same time maintaining our standards of quality in our food, accommodation and, of course, our courses. We are proud to have stood on our own two feet as an independent college for a whole decade, and are proof that such a model of lifelong learning can, indeed, work, if it is given the chance to. Thank you, as ever, to all who support us.